The day of her parents’ garden party dawns bright as Lydia Prescott eagerly anticipates a marriage proposal from a handsome and wealthy plantation owner. The lovely debutante plans to steal a moment away with her beau, but her plans go terribly awry. Instead of her intended, she is joined by a stranger—the largest man she’s ever laid eyes on. And it is clear Jacob Steele is there for reasons far more sober than the party. With British raids erupting all around them, it is his job to reassure plantation owners of their safety. In reality, however, Jacob is an espionage agent, and the truth is dire: America is on the verge of invasion by the British. Blissfully unaware of the danger surrounding her, Lydia basks in the glow of her recent engagement. But her joy is short-lived—a surprise British attack results in a devastating wound, and her plans for the future are shattered. Lost in her devastation, Lydia could never dream that Jacob, that giant of a man she met so briefly, would prove to be her saving grace. And with a war raging around them, she may be called upon to save him too. I loved learning details about the War of 1812 from a more personal perspective, which is one reason I enjoy historical fiction. This author in particular is gifted at exposing me to times, locations, or events that I know little about, and enlarging my perspective of the world and the people in it. 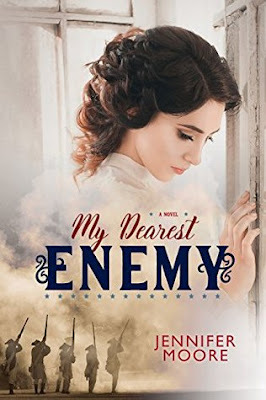 The danger, harsh circumstances, and struggles kept me turning the pages, and the gentle romance that grew between Lydia and Jacob tempered the heavier aspects of the plot. Lydia undergoes a definite change from the beginning of the book, and I admired the way her compassion for others grew into a selfless nature. The story is also told from Jacob's perspective, and he was an intriguing character with all the qualities I look for in a hero- strong and brave, yet vulnerable in ways not always seen at first. I loved the feeling of patriotism and devotion to a cause that is larger than themselves. 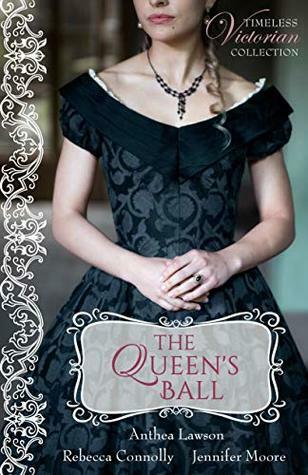 Definitely a book that will be enjoyed and loved by fans of historical fiction and sweet romance. 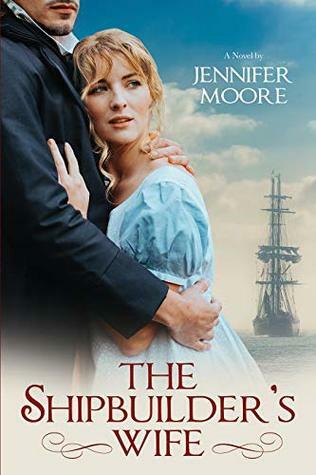 Romance is in the Air: Author Jennifer Moore & Giveaway! Decorated war hero Conall Stewart has spent ten years envisioning his return to his beloved Scottish Highlands. But now, with the days of battle finally behind him, it seems that his dreams of home have been in vain: the land of his youth lies in ruins, and his family is gone. Though he will never stop searching for his kin, Conall knows he must begin again. But when he takes on a rented farm in a nearby town, he finds far more than the fresh start he was looking for . 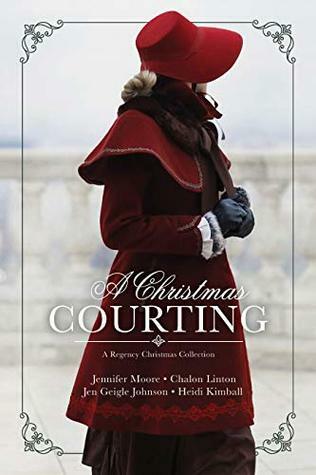 . . After catching a mischievous local lad stealing, Conall returns young Jamie to his mother, Aileen Leslie—and finds the woman’s coddling of the child maddening. What Conall does not realize is that Aileen hides a frightening secret: her devoted protection of Jamie is all that shelters them from discovery by a dangerous man from their past. Drawn together by circumstance, Conall soon develops a fatherly relationship with Jamie—as well as romantic feelings for Aileen. But even as the couple accepts their growing affection for one another, time runs out for Aileen and her son: after years of hiding, they have been found. Conall lost his family once—he will do all in his power not to let history repeat itself . . . Giveaway Details $25 Amazon Gift Card or Paypal Cash Giveaway Ends 3/2/18 Open only to those who can legally enter, receive and use an Amazon.com Gift Code or Paypal Cash. Winning Entry will be verified prior to prize being awarded. No purchase necessary. You must be 18 or older to enter or have your parent enter for you. The winner will be chosen by rafflecopter and announced here as well as emailed and will have 48 hours to respond or a new winner will be chosen. This giveaway is in no way associated with Facebook, Twitter, Rafflecopter or any other entity unless otherwise specified. The number of eligible entries received determines the odds of winning. Giveaway was organized by Kathy from I Am A Reader and sponsored by the author. VOID WHERE PROHIBITED BY LAW.